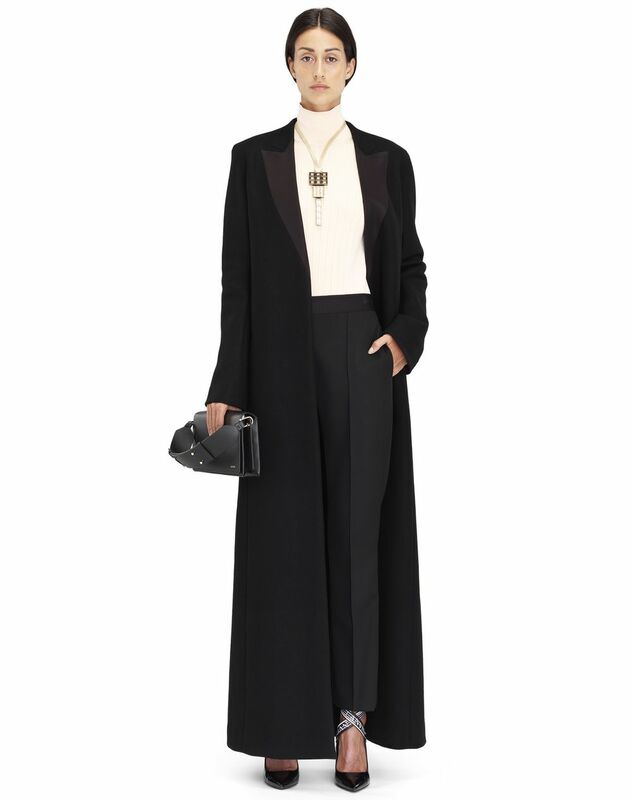 Long coat in black double cashmere, straight fit, tone-on-tone silk satin tailored collar inset, long sleeves, side welt pockets, silk lining, and rear slit. 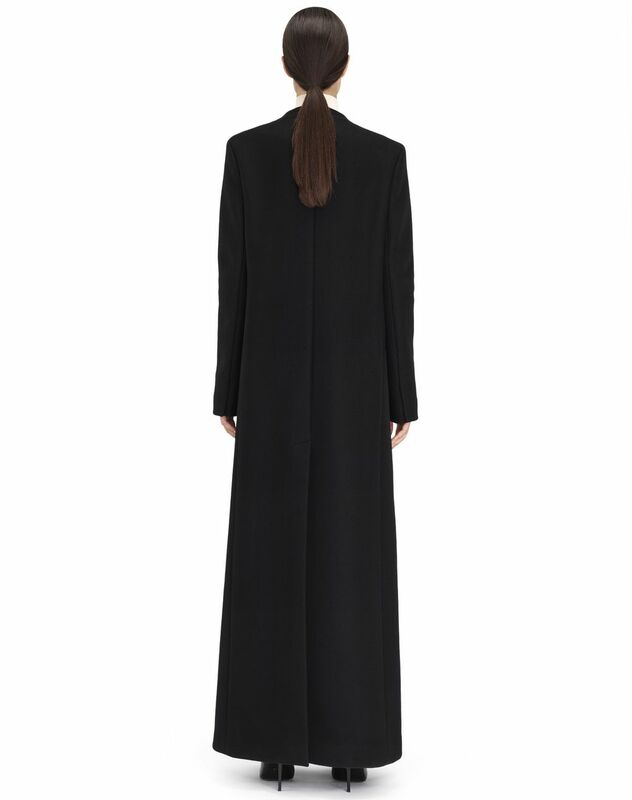 A timeless staple in every woman’s wardrobe, this long black coat stands out as a must-have. Elegant and sophisticated, it can be worn both day and night. 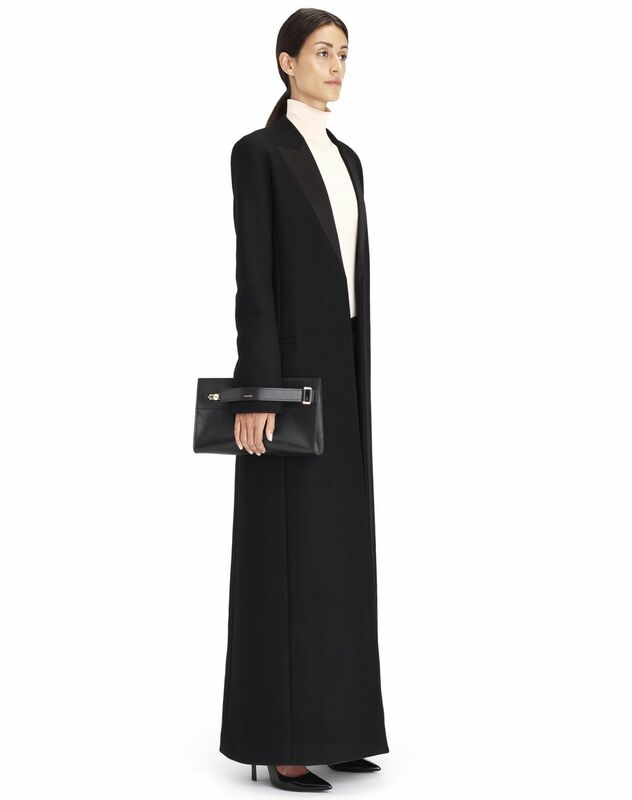 Made of cashmere, its fit is clean and structured. 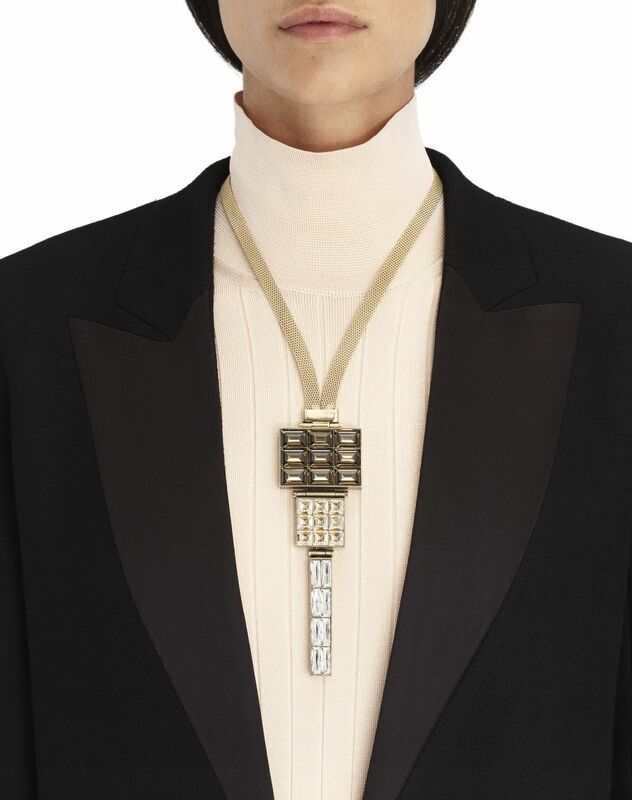 This piece was unveiled in look 10 of the women’s Winter 2018 show. Main material: 100% cashmere weave. Secondary material: 70% silk weave, 30% polyester weave. Lining: 100% silk weave. 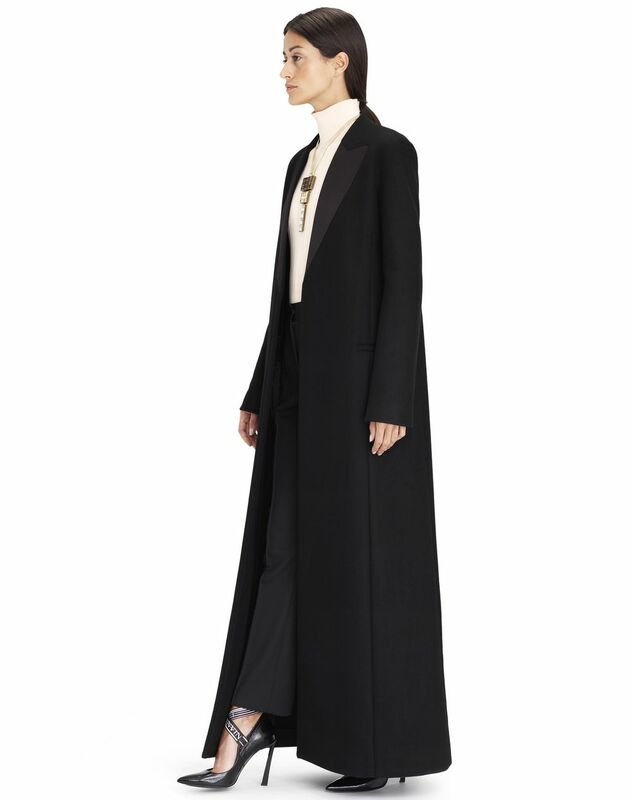 Length: 155 cm Model’s measurements: Height: 178 cm Chest: 85 cm Waist: 60 cm Hips: 89 cm Model wears a size 4. Made in Italy.